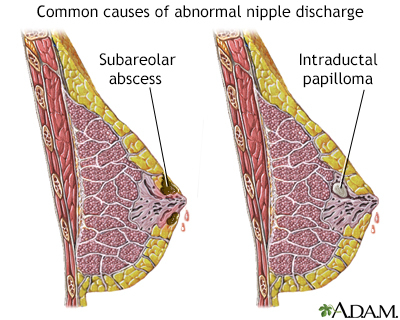 Calcifications are tiny deposits of calcium in your breast tissue. 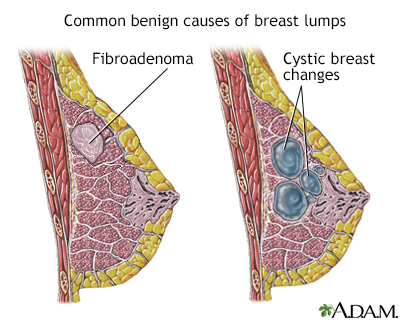 They are often seen on a mammogram. 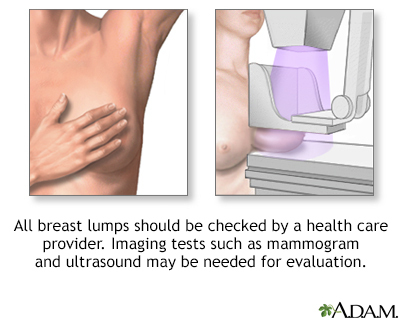 A mammogram is an x-ray picture of the breasts. It is used to find tumors and to help tell the difference between noncancerous (benign) and cancerous (malignant) disease. 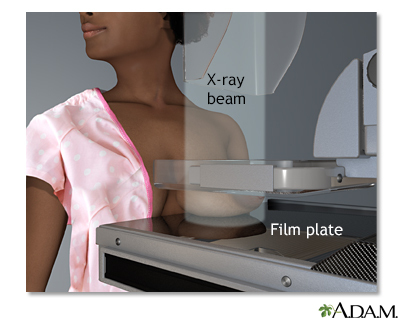 One breast at a time is rested on a flat surface that contains the x-ray plate. A device called a compressor is pressed firmly against the breast to help flatten out the breast tissue. 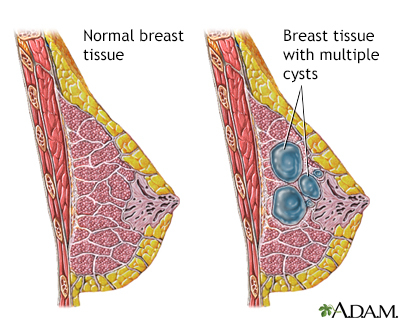 Each breast is compressed horizontally, then obliquely and an x-ray is taken of each position. Reviewed By: Todd Gersten, MD, Hematology/Oncology, Florida Cancer Specialists & Research Institute, Wellington, FL. Review provided by VeriMed Healthcare Network. Internal review and update on 11/06/2018 by David Zieve, MD, MHA, Isla Ogilvie, PhD, and the A.D.A.M. Editorial team.